"The Ugly American" was based largely on the Asian experiences of Mr. Lederer and Mr. Burdick, a political science professor at the University of California, Berkeley; the two met in the late 1940s at the Bread Loaf Writers' Conference in Vermont. A loosely connected series of episodes set in the fictional nation of Sarkhan- a composite of Thailand, Cambodia, Laos, Vietnam and Burma (now Myanmar) - the book was intended as political reportage. "This book was written as fiction; but it is based on fact," the authors wrote in a prefatory note. "The things we write about have, in essence, happened." "The Ugly American" portrayed the American foreign service community as isolated and self-congratulatory, its workers as inept and smugly arrogant in their dealings with the local population. The title became an American idiom, a reference to the American traveler abroad who is oblivious to or disdainful of foreign cultures, though the title character, Homer Atkins, is actually an exception; he lives among villagers, comes to understand their problems and actually solves a few. Most controversially, "The Ugly American" warned, unsubtly, that the United States was losing influence in the region to the Communists in China and the Soviet Union. The book, which was published by W.W. Norton in 1958, caused a major stir. It catalyzed outrage over the tax dollars spent on foreign aid, stimulated debate in Congress - Senator J. William Fulbright of Arkansas called the book "sterile, devoid of insight, reckless and irresponsible" - over the efficacy of foreign aid programs, and in years to come influenced the training of Peace Corps volunteers. " ‘The Ugly American' was well known even by people who hadn't read it," the writer Paul Theroux, who was a Peace Corps volunteer in Malawi in 1963, recalled in an interview in The New York Times last year. "Because of the book, the Peace Corps was at pains to teach volunteers the host-country language. I was able to speak Chichewa well enough to hold lively conversations the day I arrived." William J. Lederer, a writer and career naval officer who, with Eugene Burdick, wrote "The Ugly American," a novel that was among the first books to deal with American involvement in Southeast Asia and that barely veiled a blistering critique of the nation's foreign policy there, died on Dec. 5 in Baltimore. He was 97. The cause was respiratory failure, said his son Jon; the family delayed reporting the news of his father's death while arrangements were made for a military funeral, among other reasons, he said. Mr. Lederer is to be buried at Arlington National Cemetery on Feb. 16, his son said. Mr. Lederer was a high school dropout who enlisted in the Navy in 1930, eventually passing the entrance exam for the United States Naval Academy, from which he graduated in 1936. In the early 1940s he served on a river gunboat in China, and later in World War II as a line officer, dividing his time between commands in Asia and the Atlantic fleet; he was a ship's navigator in the Allied invasion of Sicily in 1943. He spent the later years of his service as a public information officer, first at the Pentagon, then in Hawaii, where he was special assistant to Adm. Felix Stump, the commander in chief of the Pacific, retiring with rank of captain. 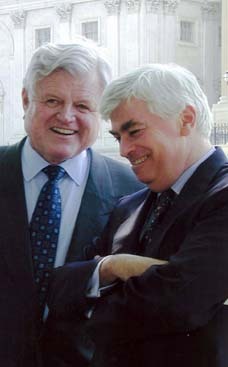 By then Mr. Lederer had written several books, including two volumes of droll, though not entirely comic, somewhat fictionalized recollections of his Navy service - "All the Ship's at Sea" and "Ensign O'Toole and Me" - that in 1962 became the basis for a short-lived television series, "Ensign O'Toole," starring Dean Jones. 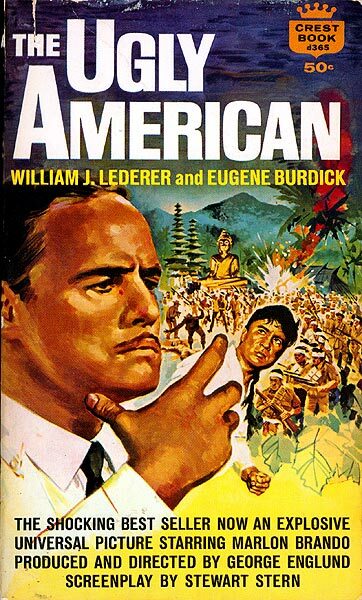 "The Ugly American" was based largely on the Asian experiences of Mr. Lederer and Mr. Burdick, a political science professor at the University of California, Berkeley; the two met in the late 1940s at the Bread Loaf Writers' Conference in Vermont. A loosely connected series of episodes set in the fictional nation of Sarkhan- a composite of Thailand, Cambodia, Laos, Vietnam and Burma (now Myanmar) - the book was intended as political reportage. "This book was written as fiction; but it is based on fact," the authors wrote in a prefatory note. "The things we write about have, in essence, happened." "The Ugly American" portrayed the American foreign service community as isolated and self-congratulatory, its workers as inept and smugly arrogant in their dealings with the local population. The title became an American idiom, a reference to the American traveler abroad who is oblivious to or disdainful of foreign cultures, though the title character, Homer Atkins, is actually an exception; he lives among villagers, comes to understand their problems and actually solves a few. Most controversially, "The Ugly American" warned, unsubtly, that the United States was losing influence in the region to the Communists in China and the Soviet Union. The book, which was published by W.W. Norton in 1958, caused a major stir. It catalyzed outrage over the tax dollars spent on foreign aid, stimulated debate in Congress - Senator J. William Fulbright of Arkansas called the book "sterile, devoid of insight, reckless and irresponsible" - over the efficacy of foreign aid programs, and in years to come influenced the training of Peace Corps volunteers.
" ‘The Ugly American' was well known even by people who hadn't read it," the writer Paul Theroux, who was a Peace Corps volunteer in Malawi in 1963, recalled in an interview in The New York Times last year. "Because of the book, the Peace Corps was at pains to teach volunteers the host-country language. I was able to speak Chichewa well enough to hold lively conversations the day I arrived." Critics, meanwhile, generally found the book clunky as literature but important as journalism.
" ‘The Ugly American' is neither subtle as art nor altogether convincing as fiction," Orville Prescott wrote in The Times in 1958. "It deals in too-broad generalizations and oversimplifies too many issues. But as fictional reporting it is excellent - blunt, forceful, completely persuasive." William Julius Lederer Jr. was born in Manhattan on March 31, 1912. His mother died when he was 5. His father was a dentist and sometime actor who fell upon hard times and moved the family to Ossining, N.Y. He never finished high school, and he had a pronounced stammer as a young man, but he was a gifted natural storyteller and before entering the Navy he worked as an assistant to the journalist Heywood Broun. Mr. Lederer was married and divorced twice. Besides his son W. Jonathan Lederer, who is known as Jon, of Baltimore, he is survived by two other sons, Brian J. H. Lederer and Bruce Allen Lederer, both of Washington; and two grandchildren. Mr. Lederer retired from the Navy to concentrate on writing as "The Ugly American" was being published. He worked as the Far East correspondent for Reader's Digest, and he and Mr. Burdick wrote a follow-up novel, "Sarkhan," which reiterated the conflict between lightly armed but shrewd Communists and powerful but bungling Americans; it was published in 1965, shortly after Mr. Burdick died. A film version of "The Ugly American," starring Marlon Brando, was released in 1963. Mr. Lederer wrote two nonfiction books critical of American conduct in Asia: "A Nation of Sheep" (1961), which reported on the gullibility and corruption of American officials there and the apathy toward Asia of American citizens in general, and "Our Own Worst Enemy" (1968), an exposé of war profiteering in Vietnam. His other books included a practical manual for writers, "Spare-Time Article Writing for Money," as well as books of advice about marriage and cross-country skiing.